Before a room packed with supporters, Stillwater County landowners from the Nye/Fishtail area yesterday presented hundreds of signed petitions to the Stillwater County Commissioners. 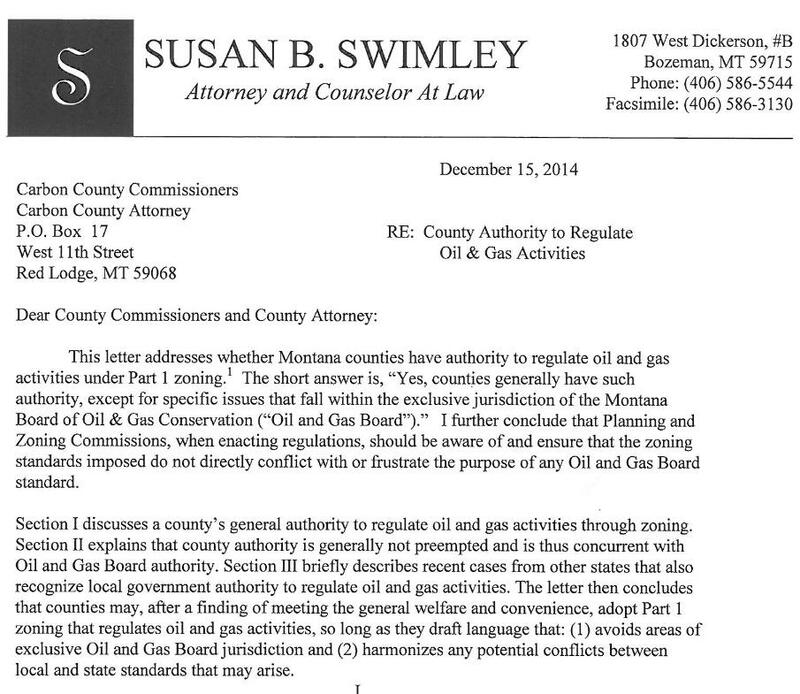 The petitioners want to establish the Stillwater County Beartooth Front Zoning District to locally regulate oil and gas activity within the boundaries of the zone. The area of the proposed zone is large, approximately 79,500 acres, and includes about 600 properties. The submission is the culmination of over two years of work by local landowners in this rural community, who were jolted into action in October 2013 when John Mork, CEO of Energy Corporation of America, promised to use horizontal drilling and hydraulic fracturing technologies to “bring something like the Bakken” to the area. Following Mork’s announcement, neighbors set to work learning about the impacts of oil and gas activity, studying Montana law and regulations, holding meetings to weigh possible alternatives, reaching broad consensus for action among landowners, and gathering signatures. This area of Stillwater County has a long history of successful coexistence with mineral extraction companies. 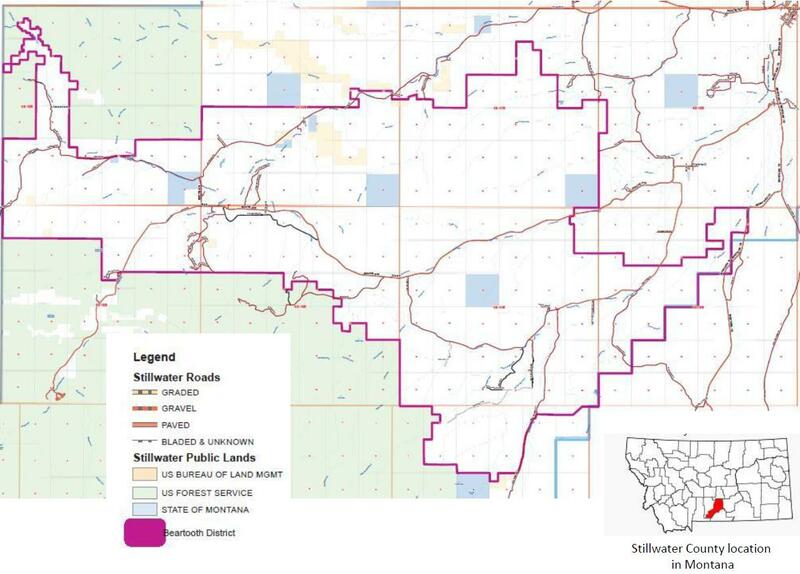 The Good Neighbor Agreement with the Stillwater Mining Company, which is located near the proposed zone, is a legally binding contract that has stood for years. The agreement has established a process for citizens to regularly meet with company representatives to address and prevent problems related to mining impacts, reclamation, wildlife, and other issues. It set aside land in conservation easements, instituted a program to reduce traffic on winding valley roads, and provided for independent environmental audits. At the November 10 meeting, the petitioners were represented by Kayce Donohoe Arthun, a fourth generation landowner who lives in the proposed zone. The Commissioners granted the petitioners an hour on the agenda to present their petitions and background information. The meeting was not a public hearing. That will take place later, after the signatures are verified. It was an opportunity for the group to formally present the petitions and provide a rationale behind this course of action. “All we’re asking is to look forward, not to put regulations in place that don’t allow oil and gas development, but to do it responsibly, and to make sure that we protect our way of life…. My grandmother Mary Donohoe proposed the same type of citizen initiated zoning district back in the 90s. However, it was in regards to hard rock mining, and there was a lot of concern about that at the time because people wanted to see that develop here in our county. Well, her and a lot of like-minded people, they wanted to see it done responsibly. They knew hard rock mining was coming to our county and was here to stay, but they wanted to see it done the right way. So they came and presented to a group of individuals just like yourselves sitting in those chairs, and as a group, both the landowners and the County Commissioners, it was decided to move forward and to put a citizen initiated zoning district in place…. Many people thought that might be the death of hard rock mining in Stillwater County, and as we all know, it wasn’t. Stillwater Mining Company is Stillwater County’s largest employer….However, what it did do is it allowed neighbors and county government and the Stillwater Mine to work together and to say, ‘We’re neighbors, let’s do this responsibly, both as landowners and a mining company. Let’s protect what we all find is important in our home. And it’s been a real successful partnership,…and that’s why we’re here today. Julia Haggerty, Assistant Professor, Montana State University Department of Earth Sciences, presenting on the impacts of oil and gas drilling on communities in eastern Montana. The County Clerk verifies that the signatures are valid. This is the next step. The County has indicated that it will take some time to validate so many signatures. We will be monitoring to make sure they make timely progress. After the signatures are validated, the Commissioners hold a public meeting to determine whether the zone is in the “public interest and convenience.” If so, a planning and zoning committee is established. This is a seven member board that reviews the zoning petition and recommends how it should be implemented. After opportunities for public input, the planning and zoning commission puts in place the regulations for the district. These regulations must be consistent with the County’s growth plan. This entry was posted in Community Organization, Politics and History and tagged cundefineduundefinednundefineddundefinedeundefinedfundefinediundefinednundefinedeundefineddundefinediundefineduundefinednundefineddundefinedeundefinedfundefinediundefinednundefinedeundefineddundefined. Bookmark the permalink. David, thanks for posting this and a huge thank you to all of the people who worked to get the petition finished. Any citizen who cares about the future of water, ranching and life in the Stillwater Valley should be concerned about unregulated oil and gas development. Some would argue that there are regulations in place, but it does not take much to realize that what is in place does little to protect the property of landowners and guarantee that we have clean air and water as provided in the Montana constitution. This is a first step to realizing those rights continue untarnished. Thanks again for everyone’s efforts. Yes, a lot of hard work by a lot of people, and lots of thanks due all around. Bravo, great leadership and teamwork! As Andrew Jackson said, ‘Even when just one citizens shows couage, that is a majority.” Don’t give up and keep at ’em! Nihil Bastardi Carborundum!